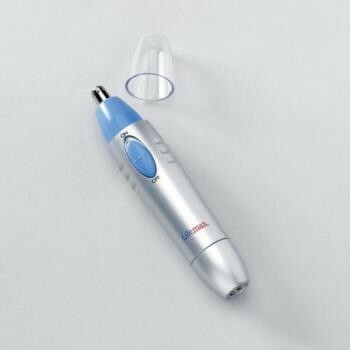 Using a gentle rotary action, this well constructed device removes unwanted hair from the nose and ear areas. Hair Trimmer... Using a gentle rotary action, this well constructed device removes unwanted hair from the nose and ear areas. Can be used whilst wet or dry. Uses 1 x AA battery (not included).